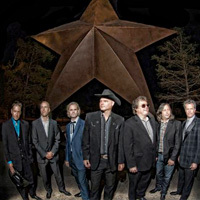 Texas Tycoons are an all-star band of the most in-demand Texas musicians performing a wide variety of Lone Star classics. Whether it's rock and roll, country, top 40, or blues Texas musicians have made a giant musical impact over the last 50 years. To celebrate their great musical heritage, the Texas Tycoons have built a repertoire as vast and varied as the great state itself. From Archie Bell to ZZ Top, Willie Nelson to T-Bone Walker, Doug Sahm to Buddy Holly, if it's Texas music, the Tycoons have got it covered.